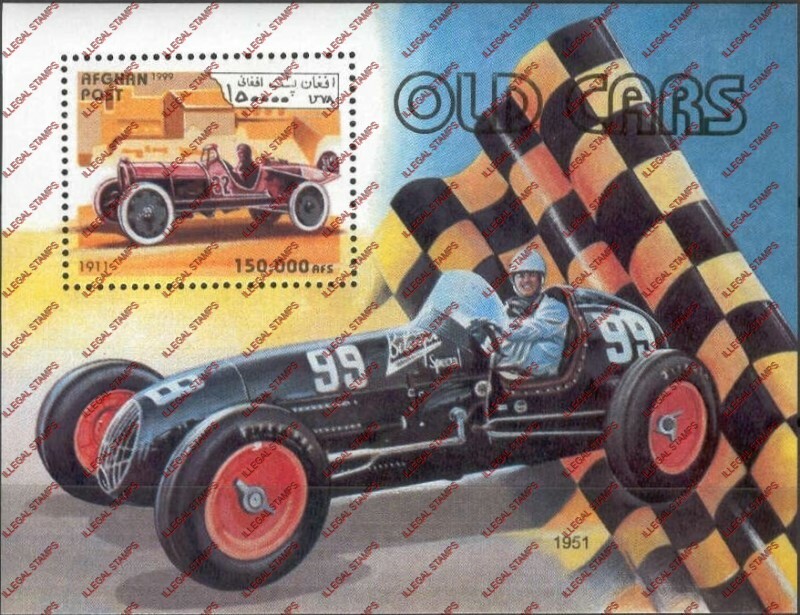 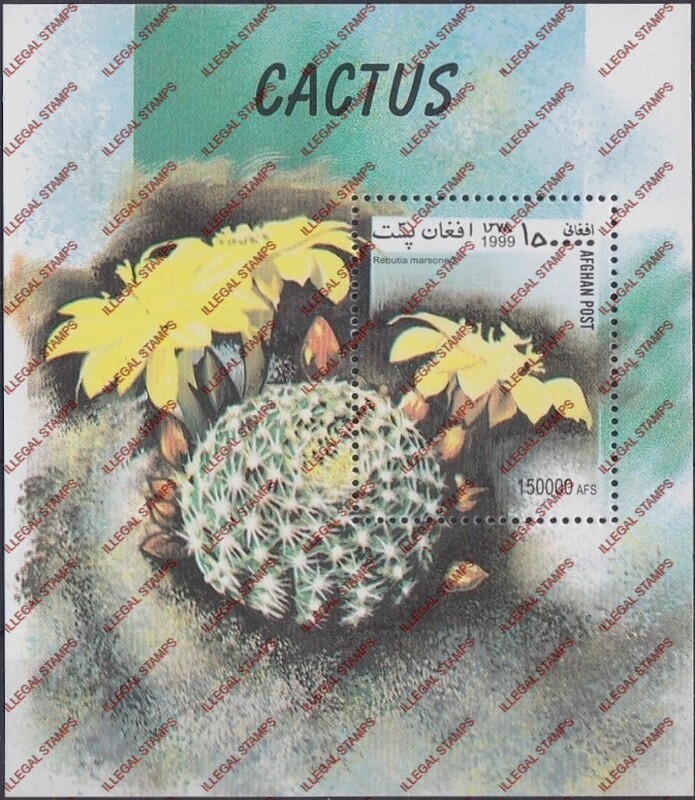 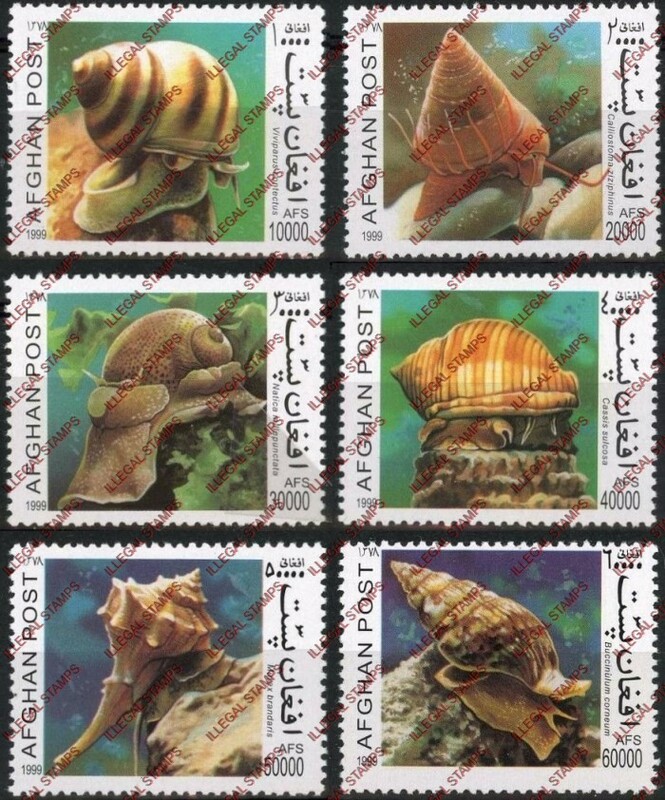 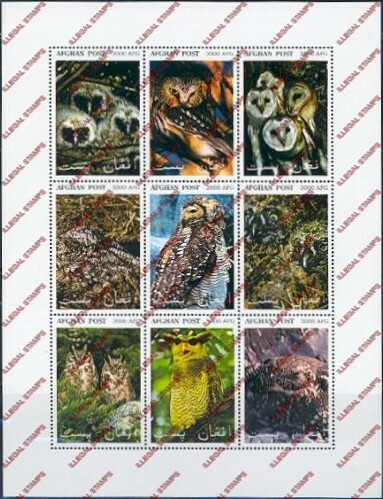 All imaged illegal stamps are for the year 1999. 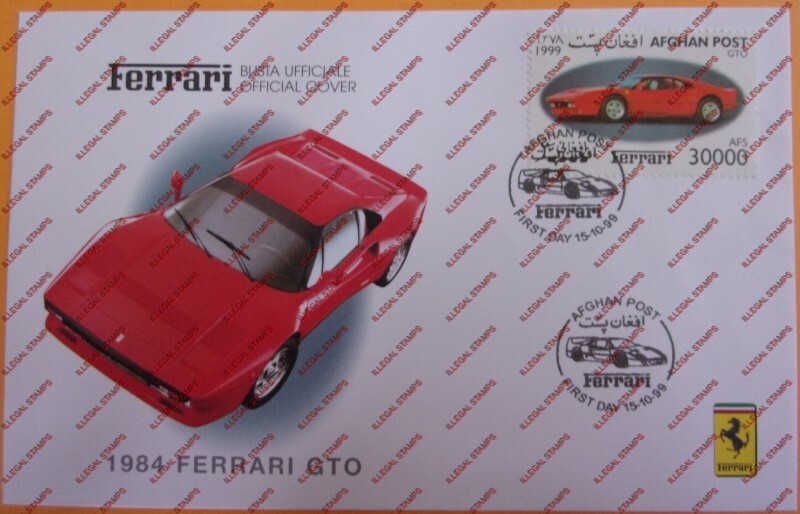 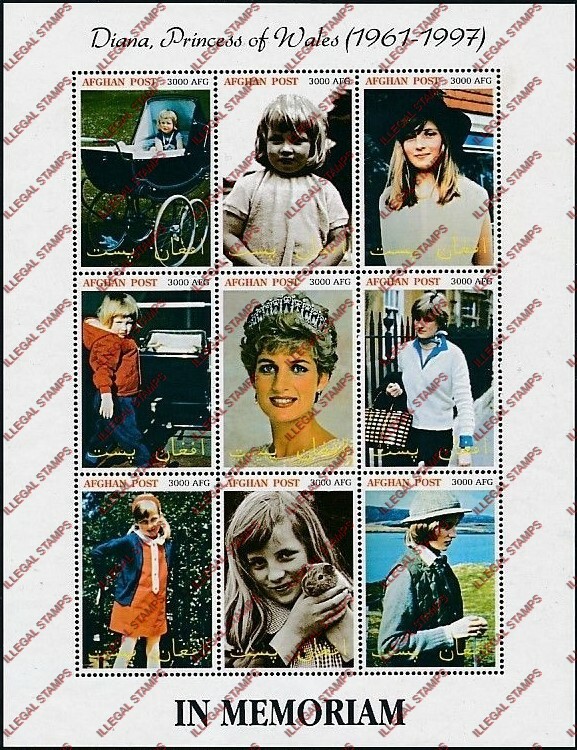 On this page I have separated the Scott Catalog "unauthorized printing" sets from the verified illegal stamp sets. 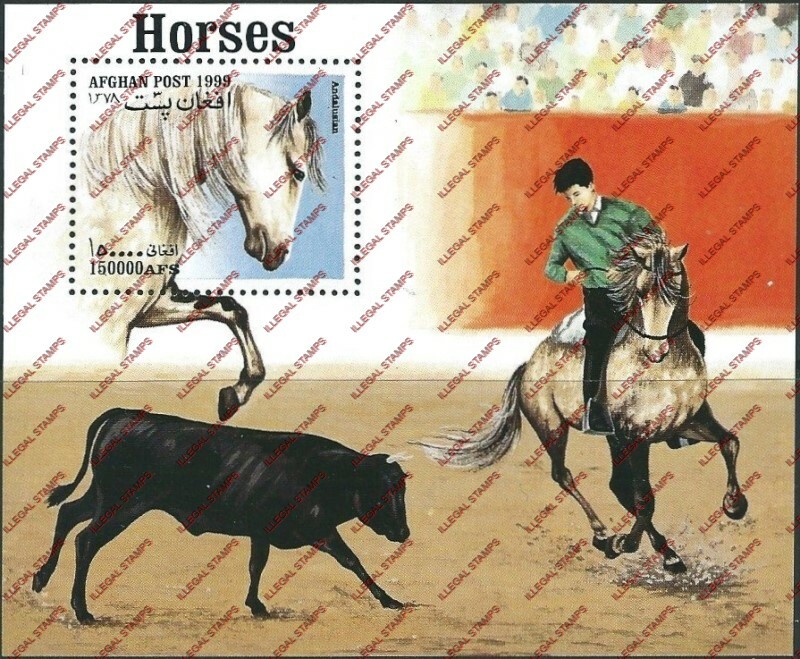 You can see the extreme difference in styles showing us that other illegal stamp producers became involved. 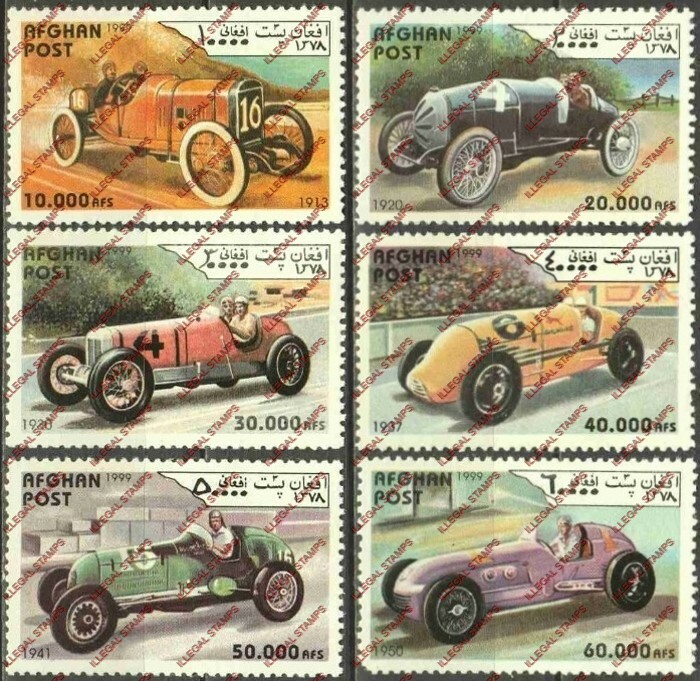 According to the Scott Catalog there is a souvenir sheet for this set. 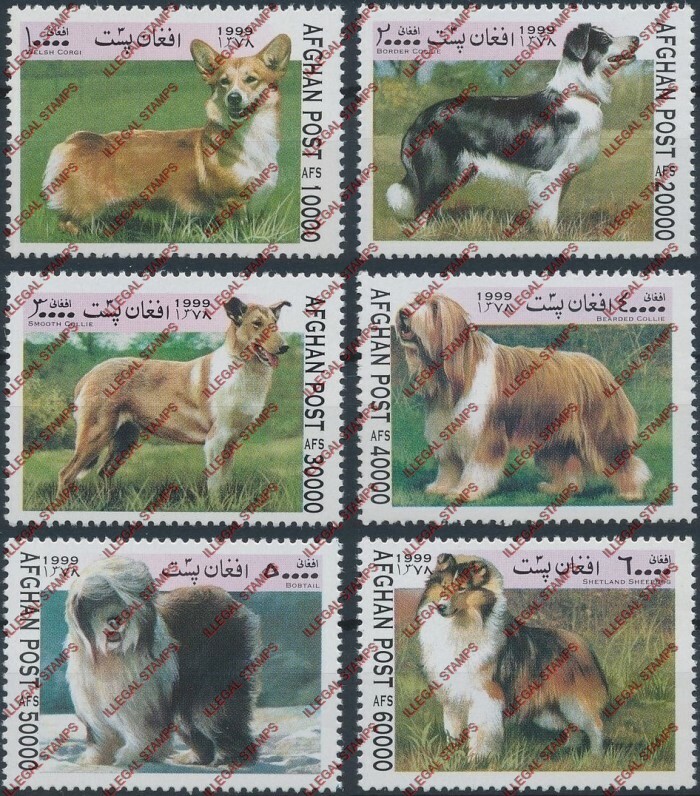 I could not find one availabe anywhere. 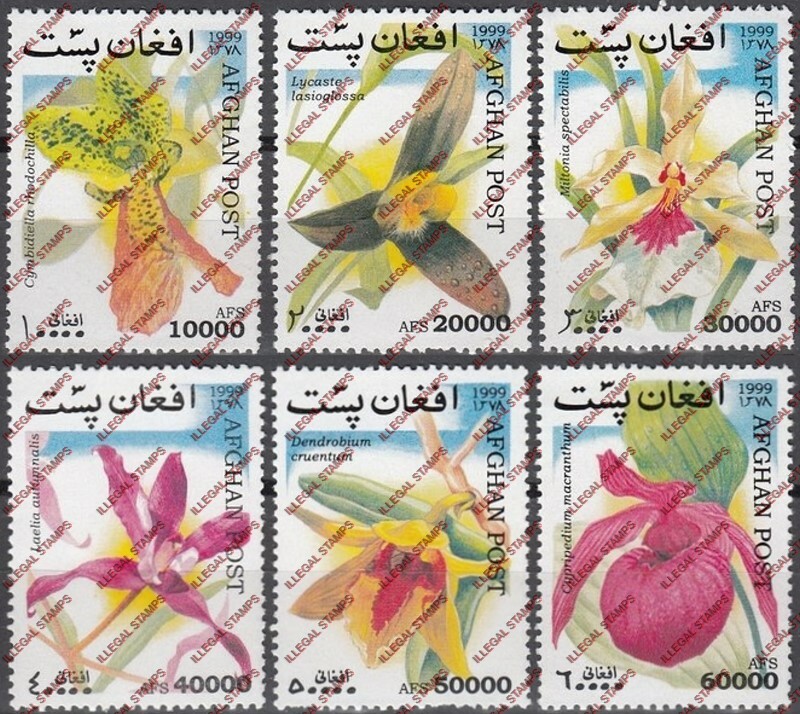 This is one example. 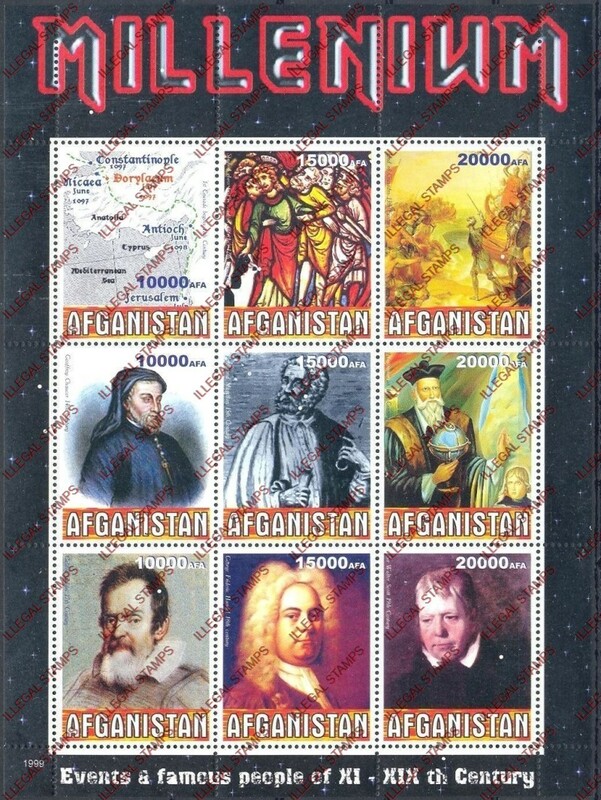 There are bogus First Day Covers for all the values. 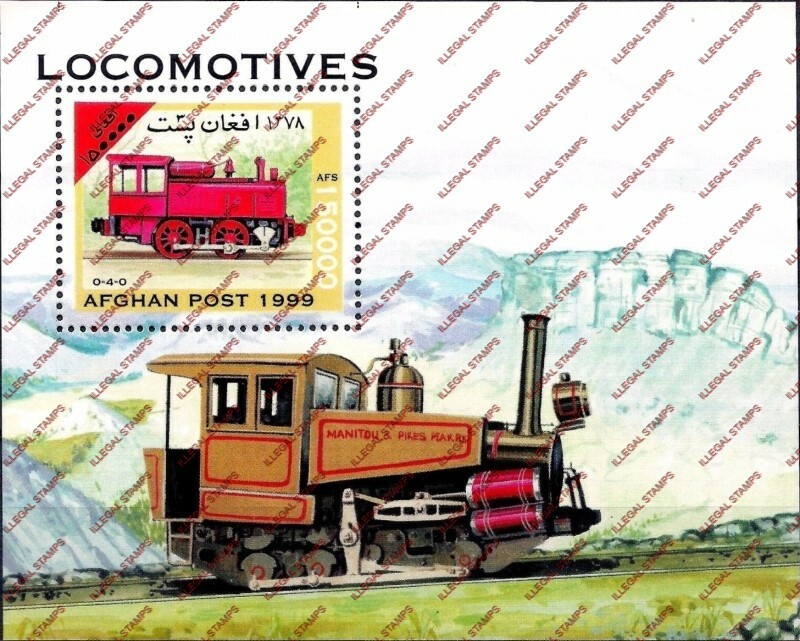 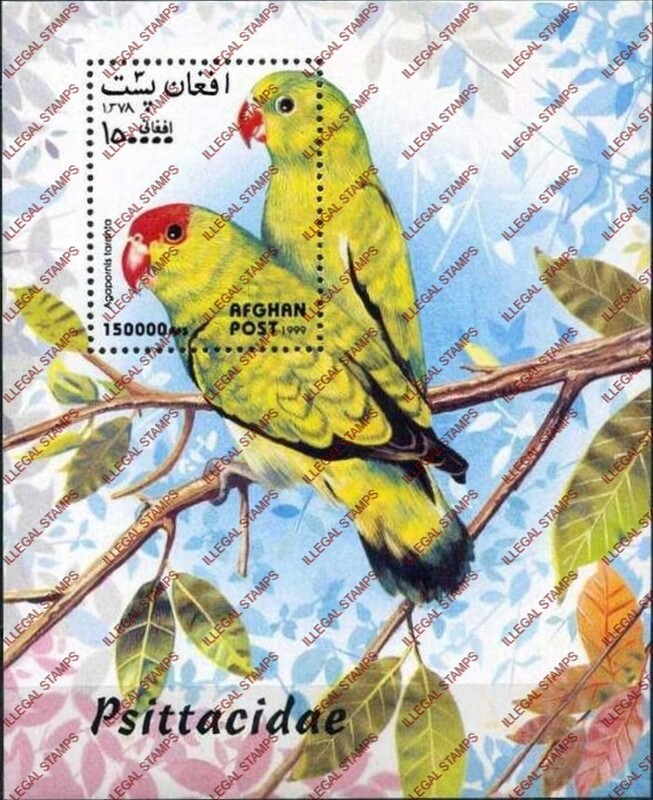 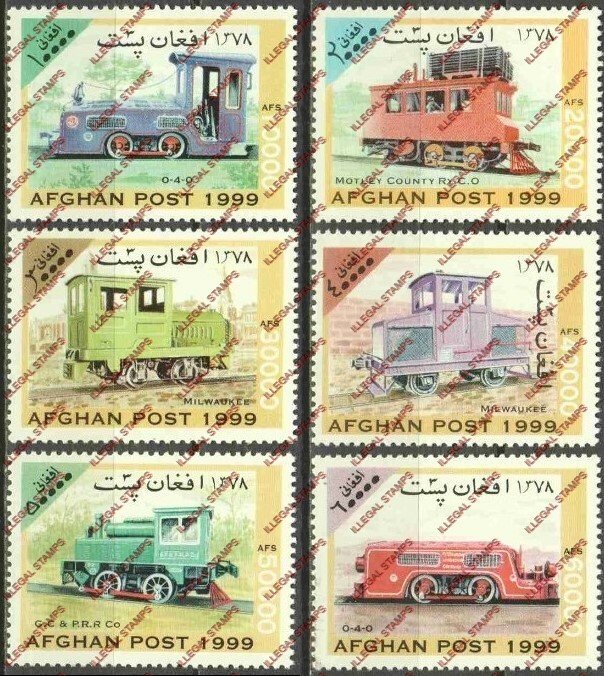 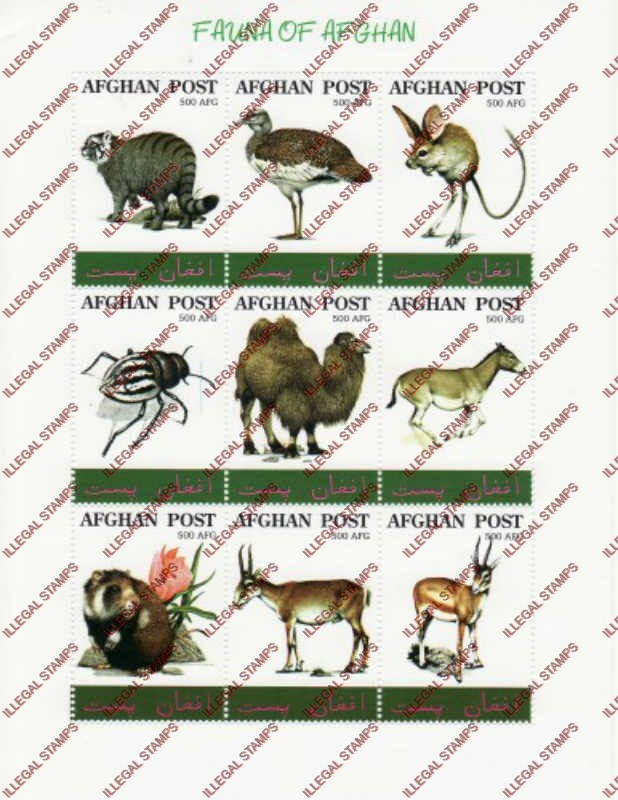 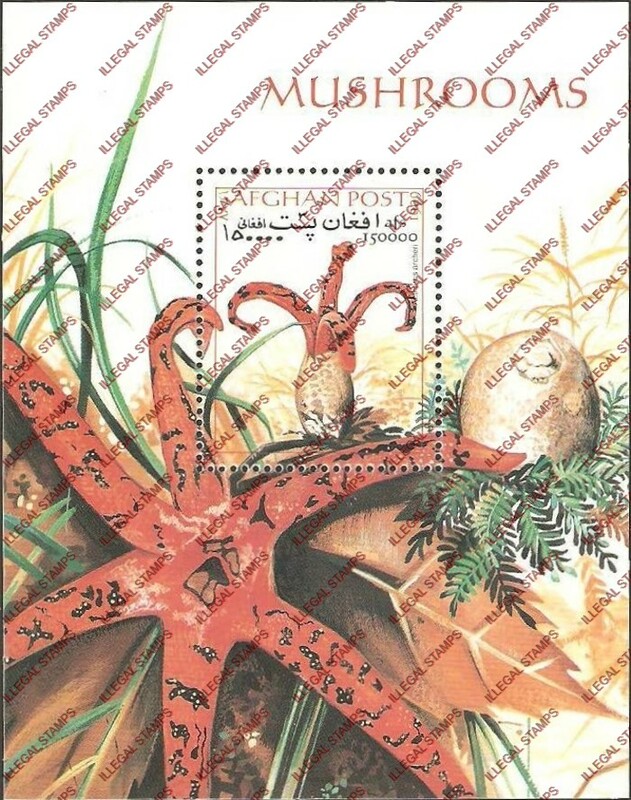 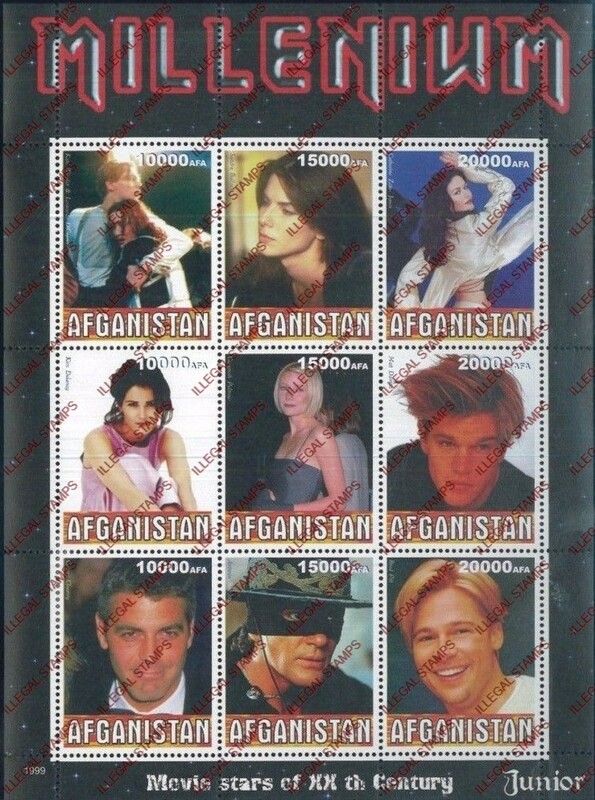 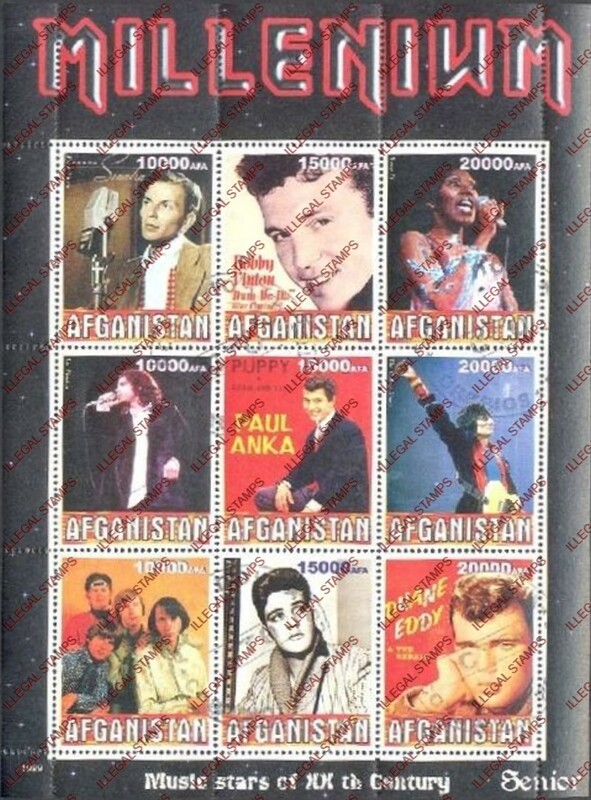 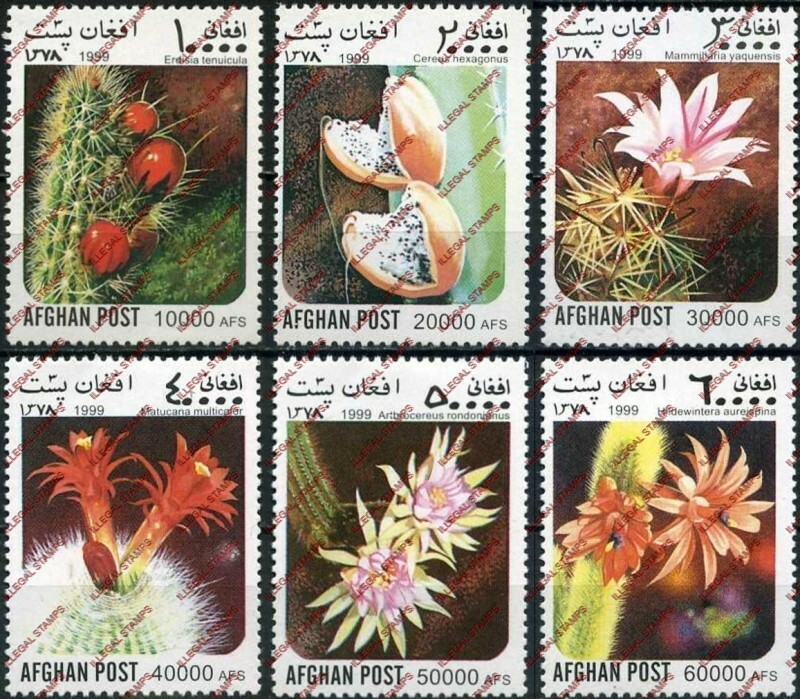 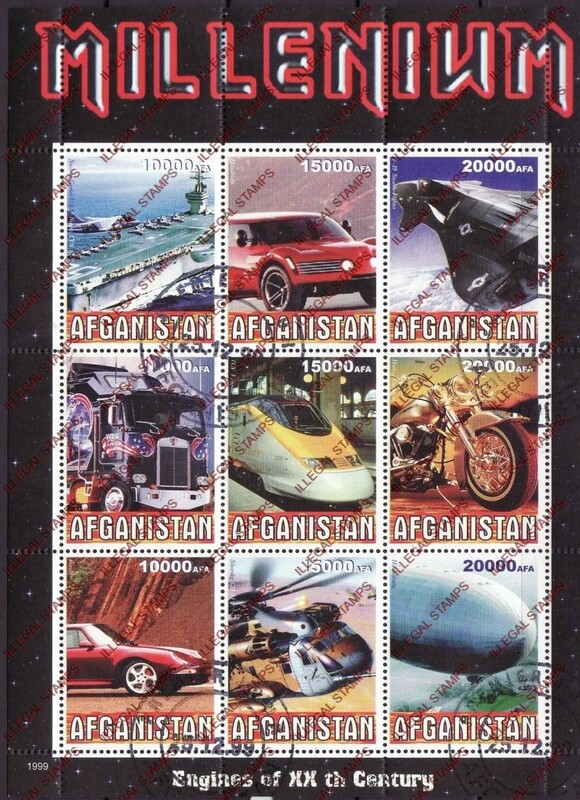 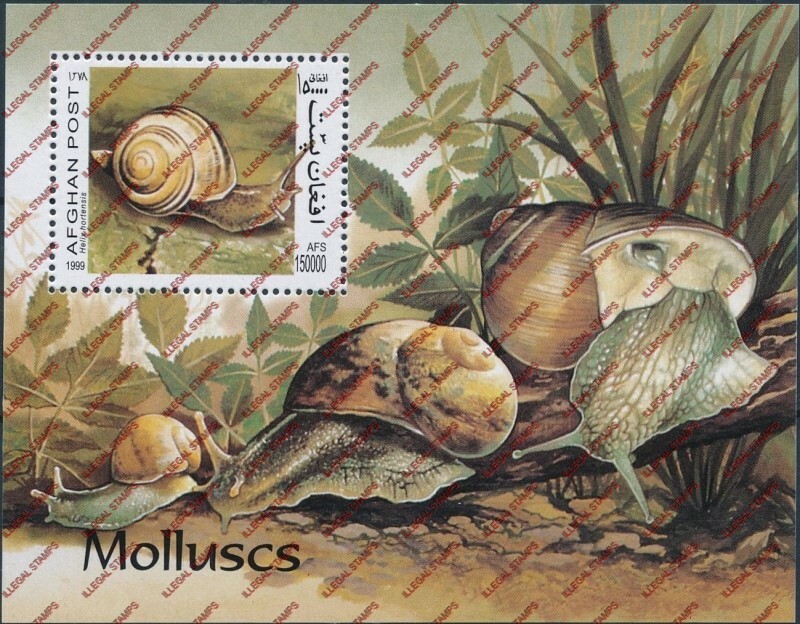 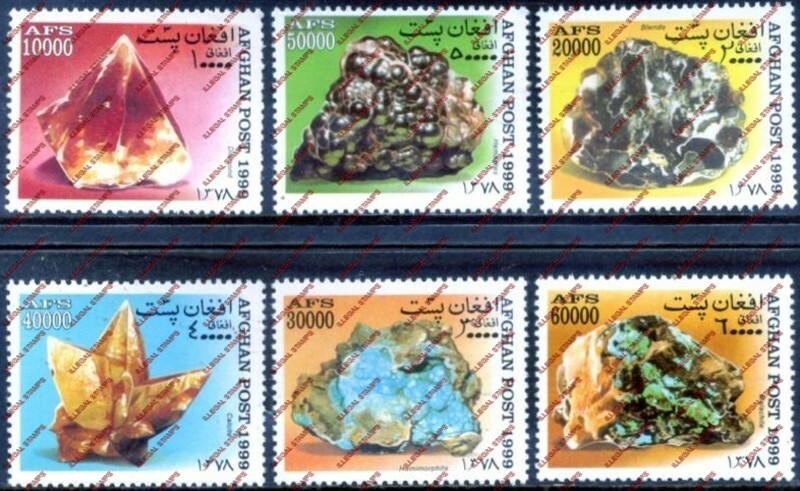 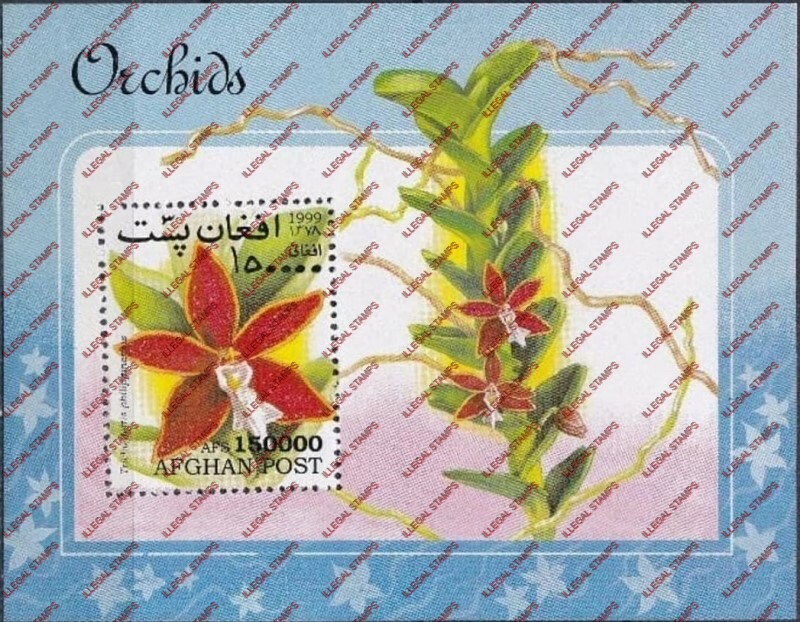 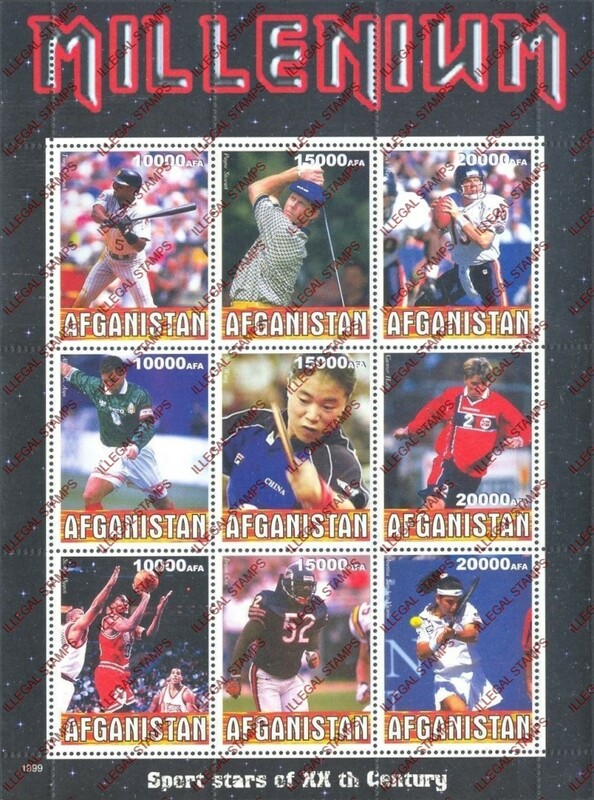 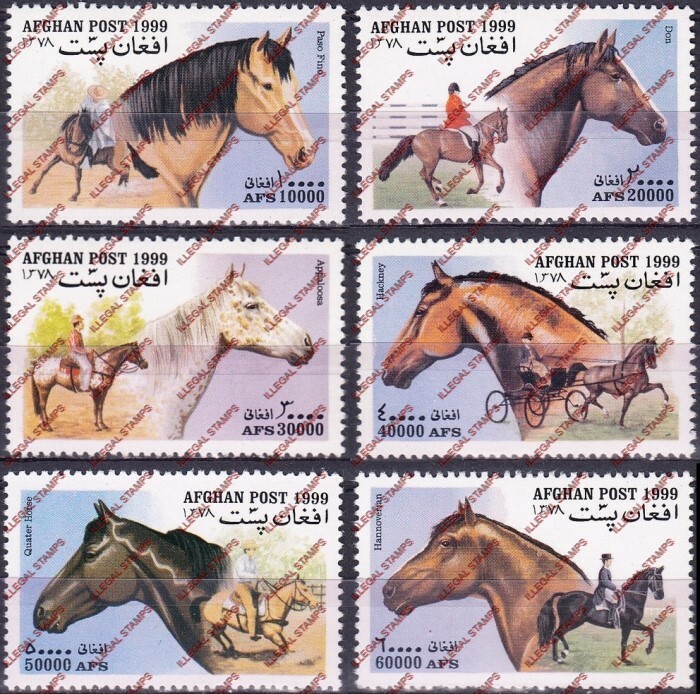 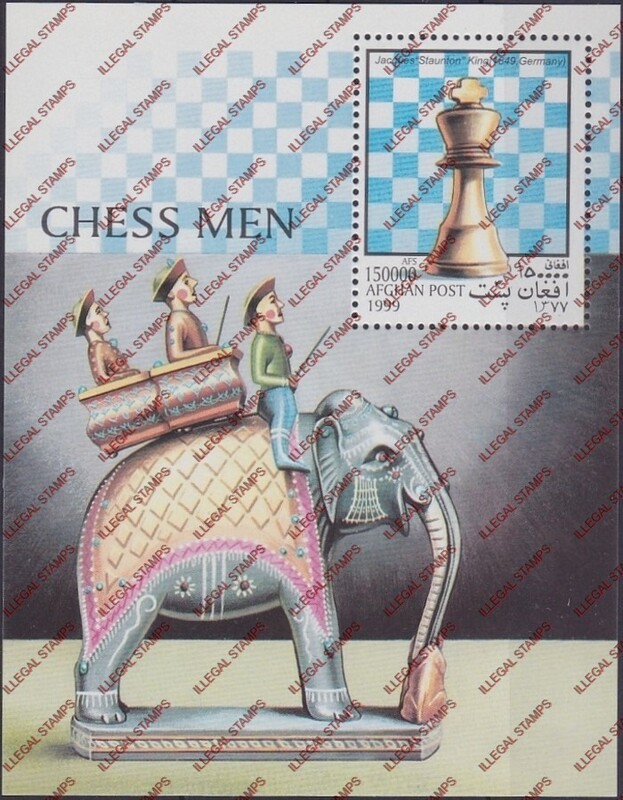 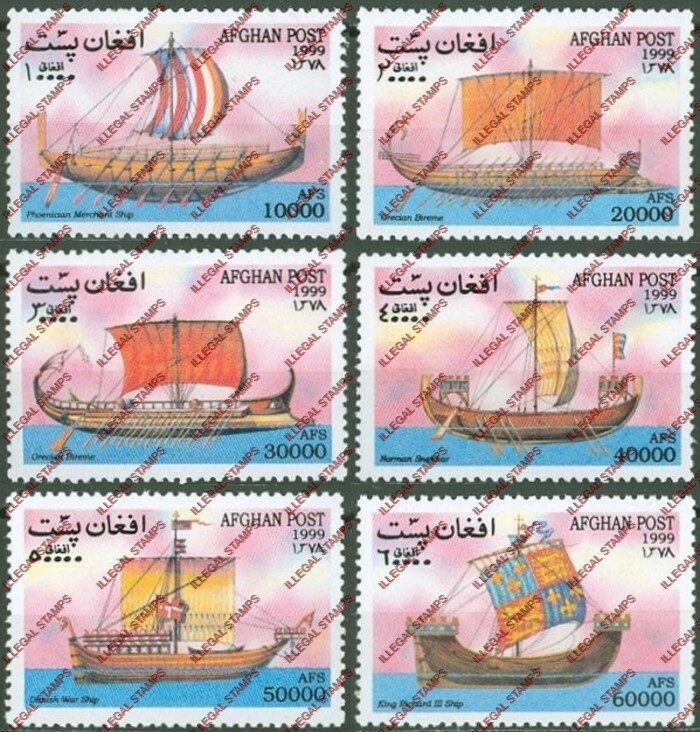 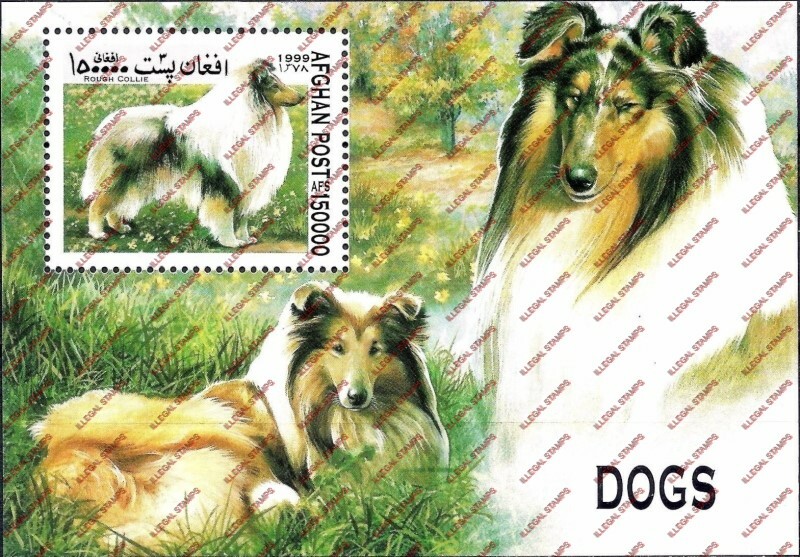 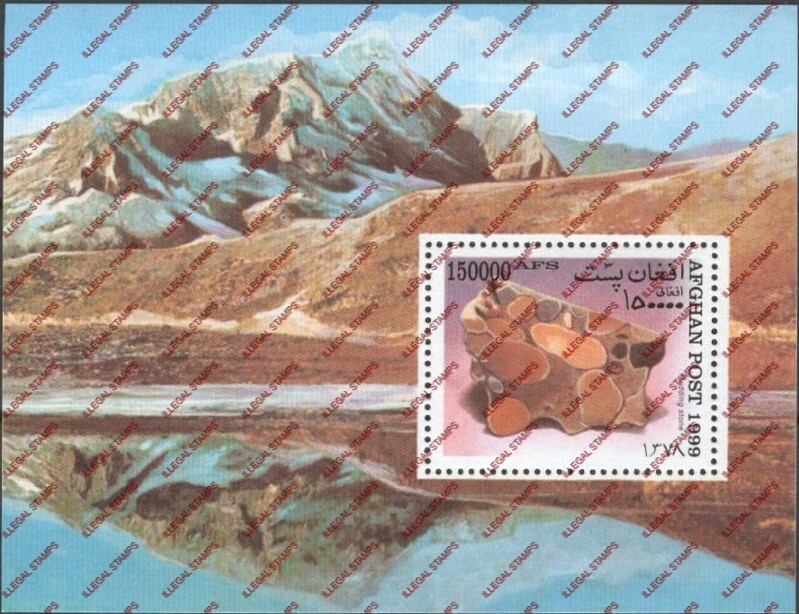 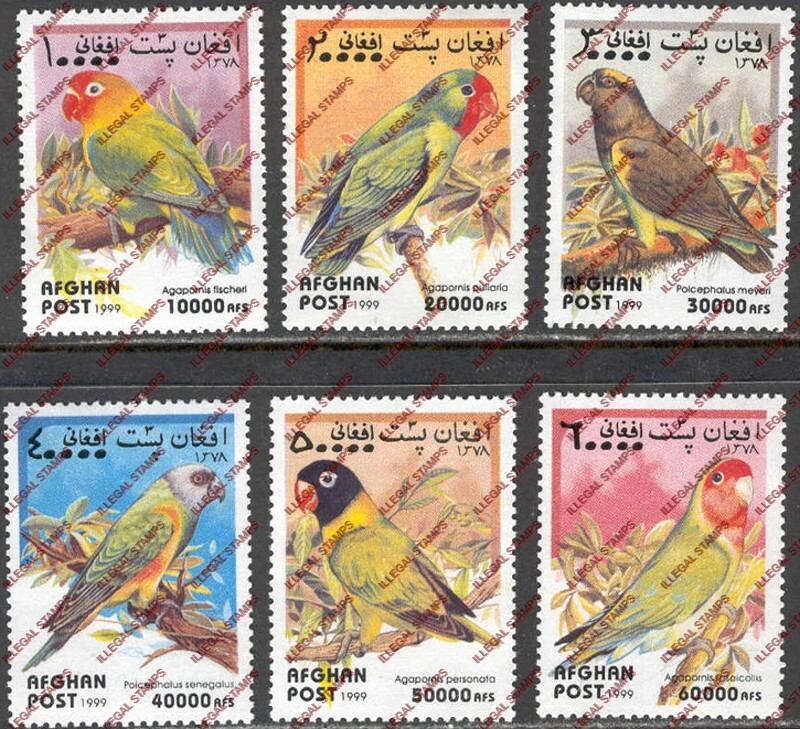 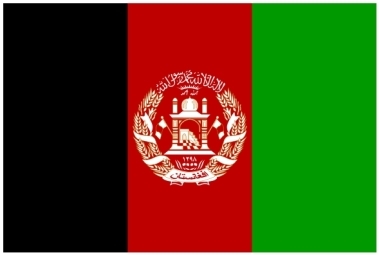 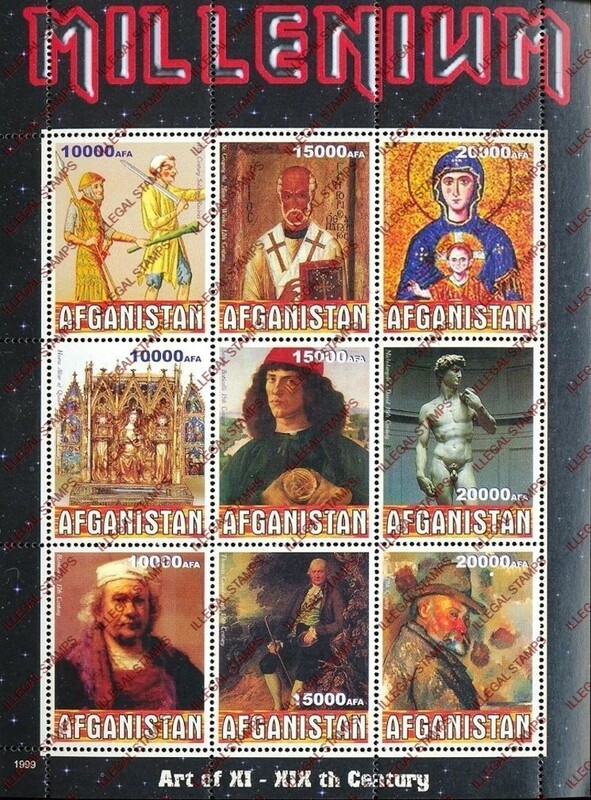 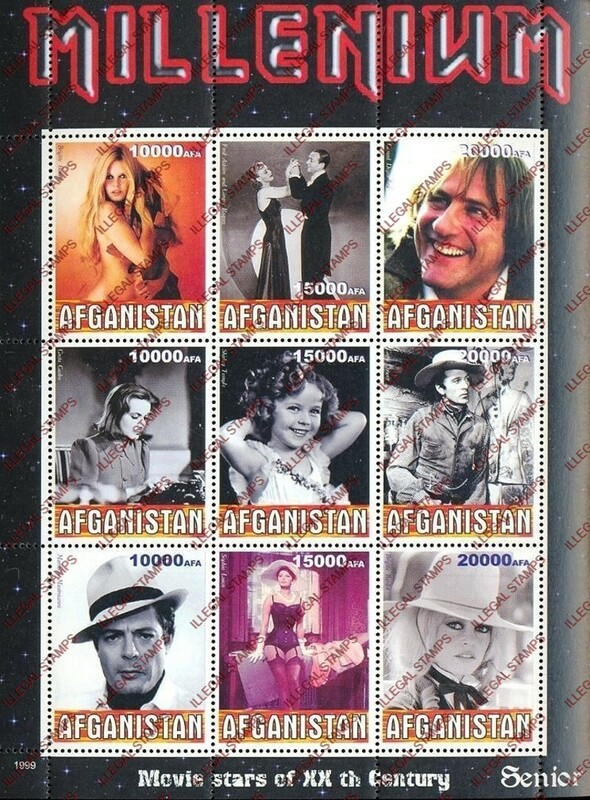 This is when new producers began infesting the market with Afghanistan illegal stamps. 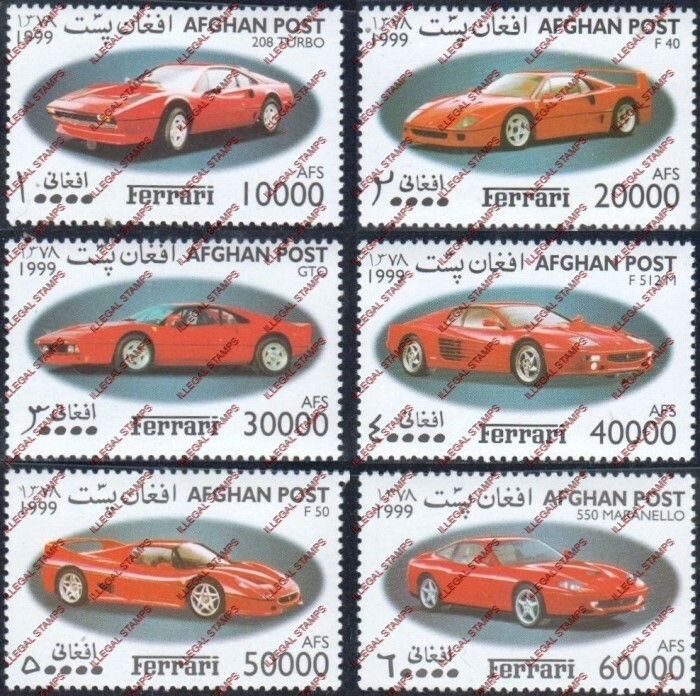 Image from the Stampdile network. 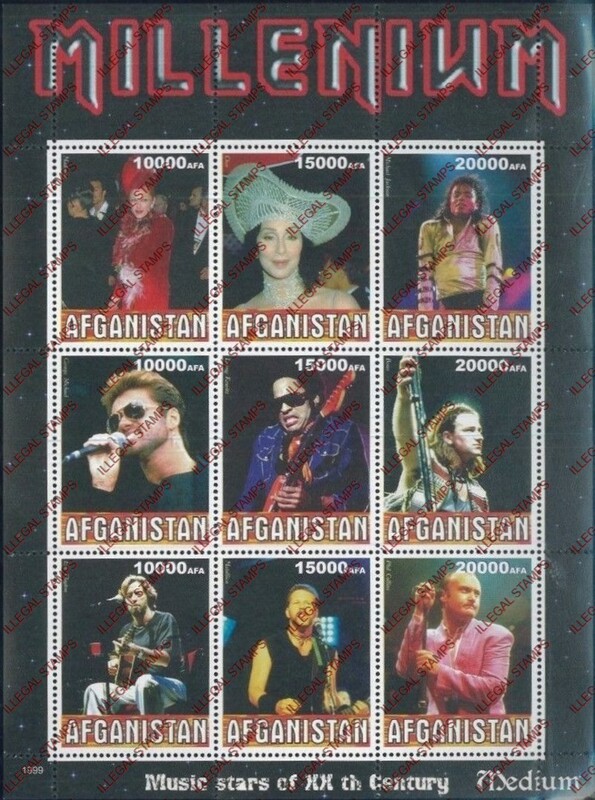 Noting all available illegal stamps from this sheetlet on eBay and other venues have been broken from the sheetlets. 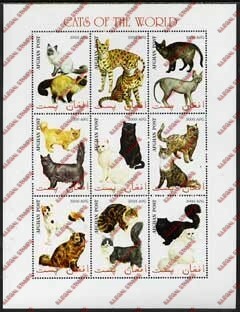 I could find no full sheetlets anywhere else. 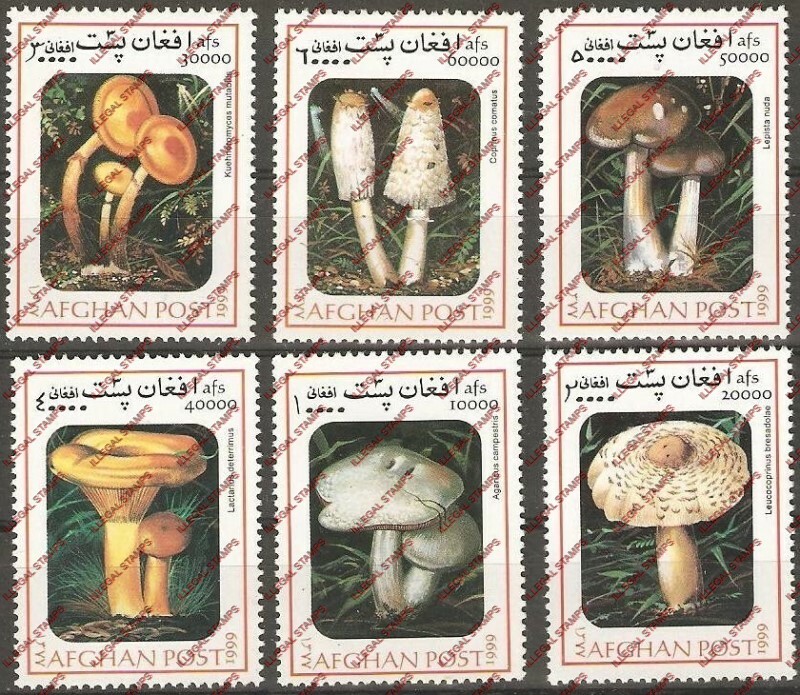 Image from the Stampdile network. 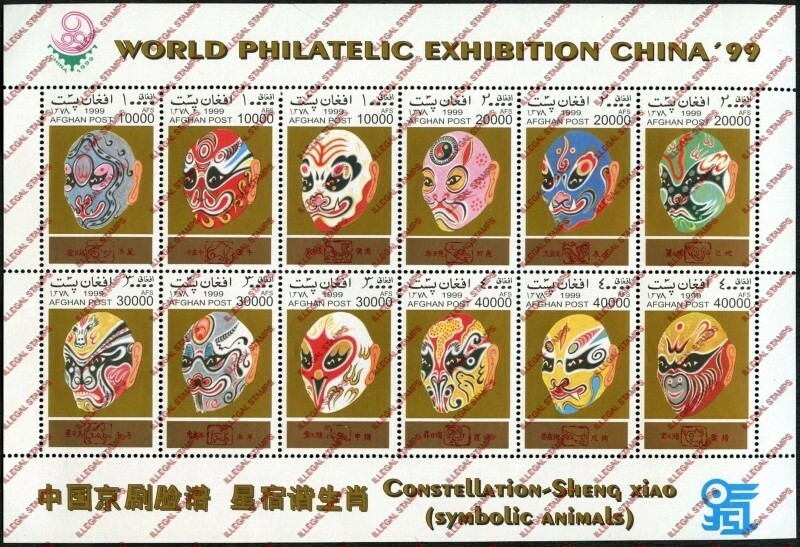 Noting I could not find these on any venue except the Stampdile network. 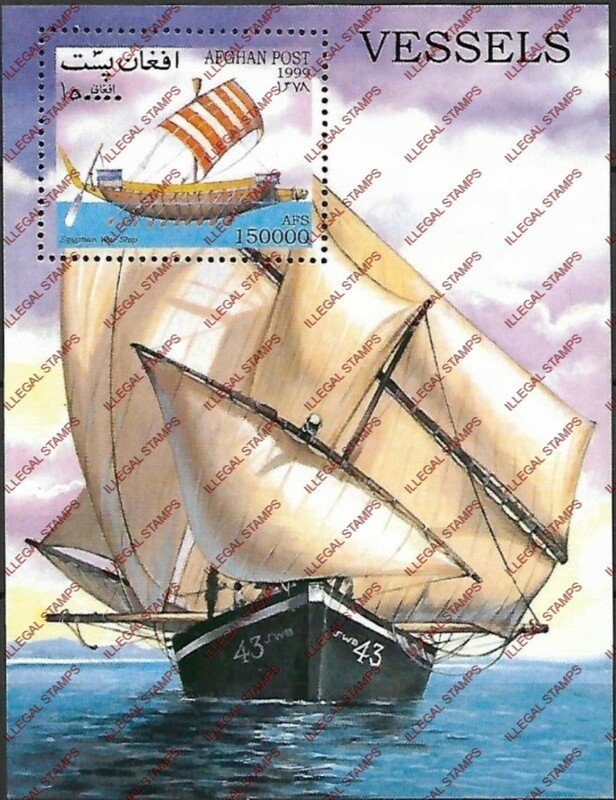 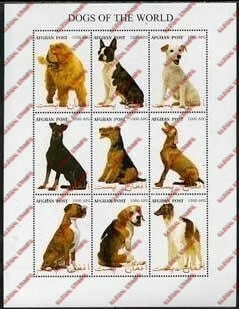 This is when the total junk "Millenium" illegal stamp sheetlets appeared. 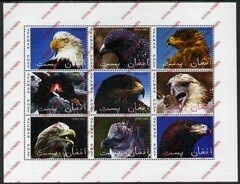 All are bogus.